Al Anon provides help and hope for families and friends of alcoholics, whether the alcoholic is still drinking or not. It is a unique fellowship that unites people of different backgrounds, races and walks of life in an inspiring endeavor -- helping themselves and others to lead purposeful, useful lives by overcoming the frustration and helplessness caused by close association with an alcoholic. 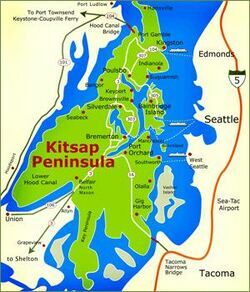 If you are new or visiting our area, welcome to the beautiful Kitsap Peninsula. We are located directly across from the Seattle side of Puget Sound. You can get to the Kitsap Peninsula area via one of four Washington State Ferries, and from the south near Seattle-Tacoma International Airport via the Tacoma Narrows Bridge. Below you will find links to more resources and help.